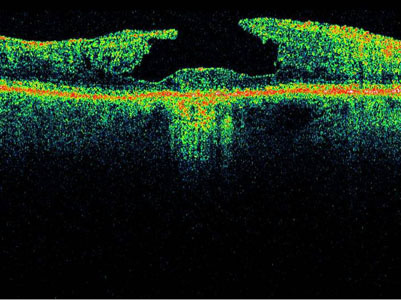 OCT is an advanced eye scan, similar to ultrasound but using light rather than sound waves. 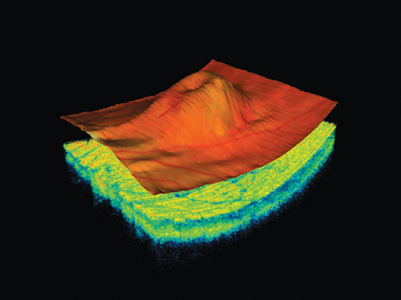 The scan sees under the retina in 3D to parts that cannot be seen by ordinary examination. 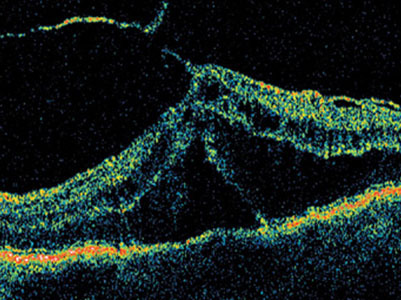 Many eye conditions begin their damage in the layers of the retina below the surface and the OCT illustrates these 10 different layers in 3D cross section, a bit like slicing through a cake and seeing all the invisible layers below. 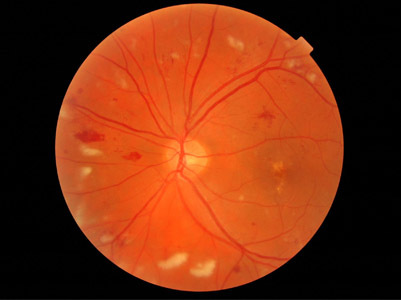 A number of key conditions such as glaucoma, age related macular degeneration and diabetic retinopathy can be detected among others. 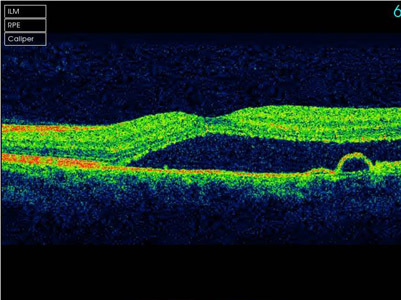 With the 3D OCT-1 Maestro we can also capture a digital photograph of the surface of the eye at the same time as the scan to cross reference any areas of concern. 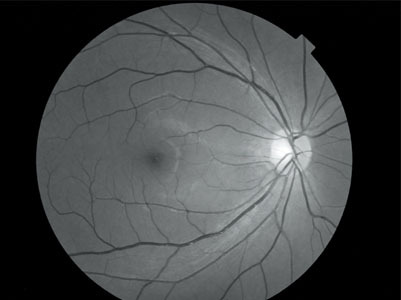 The OCT scan only takes a couple of minutes to perform but the detailed information captured in those few minutes has already saved the sight for some of our patients and also enabled both children and adults to receive earlier monitoring than would have been possible if only a general examination had been carried out. We highly recommend that everyone has an OCT, children and adults alike, so that a history can be built up of the retina and its layers. This way the slightest change can be detected, diagnosed and treated if necessary.